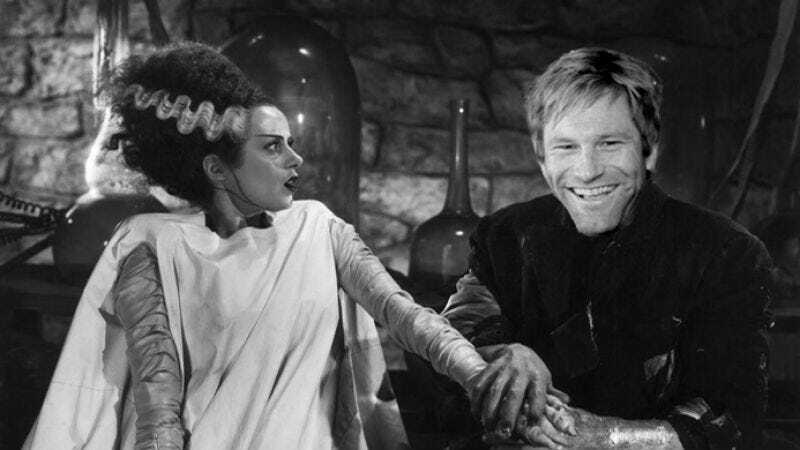 As “Frankenstein update” threatens to become its own genre, Lionsgate and Lakeshore Entertainment are hoping to best the approximately nine other versions of Mary Shelley’s classic tale in the works with the previously unannounced I, Frankenstein—which has the distinction of being the only Frankenstein update to star Aaron Eckhart, at least so far. After all, at the exponential rate they’re developing, there may soon be enough Frankenstein updates for every actor to assay more than once in his career, the “Frankenstein’s monster” becoming a sort of film archetype indistinguishable from, say, the brilliant-yet-flawed attorney or Mafia hood. Anyway, Eckhart’s—let’s call it first—performance as the reanimated-man-for-all-seasons will find The Dark Knight star once more sporting a disfigured face in a modern-day “gothic metropolis,” where he soon becomes caught in “an all-out, centuries old war between two immortal clans.” Perhaps not surprisingly, the story hails from a graphic novel from Underworld co-creator Kevin Grevioux, who thinks all monsters should fight each other. But of course, writer-director Stuart Bettie—whose past screenplays include Pirates Of The Caribbean: The Curse Of The Black Pearl, G.I. Joe, and 30 Days Of Night—sees it as a story about what it means to be human, because everyone doing a Frankenstein update is required to say that. And maybe someday, man might finally achieve that deeper understanding of his own nature, but it’s probably going to take at least 10 to 20 Frankenstein updates before we’re ready.